Parking At BWI Airport Was Never This Simple! Are you one of those individuals who are afraid of leaving behind your vehicle parked at an unsafe parking facility when traveling out of the city? Are you tired of paying high prices for airport parking? Well, you are definitely not alone. A lot of us opt for BWI Airport onsite parking just because we don't know what else to do when going out for short term or long term. But you can now put your fears to an end as there are several alternative safe, secure and amazingly well guarded parking facilities near BWI airport offered to you by Book2Park. Book2Park offers you not only affordable and discounted prices for long term parking spots for your vehicle but also other benefits like complimentary shuttle service, 24 hour security of the vehicle, Trip Protection Insurance and option to book your preferred spot online. Once you book with us, you won't look anywhere else to book bwi airport long term parking. Moreover, it is always better to travel out of the city with a peaceful mind with no worries and complete assurance of your vehicle's safety for as long as you wish to stay out. So the next time you need to travel out of Baltimore Airport Parking, just log on, select your spot, book it online and enjoy our fabulous service. Aloft Baltimore-Washington International Airport offers something bold and new to the culture-conscious traveler alienated by cookie-cutter, one size fits all experiences. As a vision of W hotels, aloft is a sassy savvy space offering intelligent design, accessible technology, and a social atmosphere of comfort and convenience. 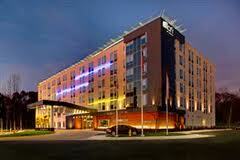 The aloft is conveniently located minutes from the BWI Thurgood Marshall Airport. When you return to the airport and have all of your luggage with you, please call the hotel for a pick up. The hotel will direct you to the closest shuttle pick up area. Parking Instructions: Please use any parking spot available at the side and the back of the building. Enter to front desk to do a brief parking check-in, and wait for the shuttle transportation at the lobby. Shuttle hours: 4:30am-12:00am Every 30 minutes Call for pickup. Driving distance from BWI : 3.7 mi. Shuttle Hours: 24/7 Every 15 minutes. BWI Speedy Park is located just 7 (seven) minutes from the airport! Arrival Info: Please arrive at least 15-20 minutes prior to the time you wish to arrive at the airport terminal. Please show your Reservation Receipt to the shuttle bus driver upon arrival. Airport shuttle runs approximately every 15 minutes to and from the airport terminals. Driving distance from BWI : 2 mi. Shuttle Hours: 24 Hours a day on the top of every hour. Pick up on demand. We are conveniently located minutes from the BWI airport. As the best choice among Baltimore Washington International Airport hotels, the Baltimore Washington International Airport is happy to welcome you to our accommodating hotel. BWI is less than few miles from our front doors (we provide a complimentary Baltimore airport shuttle) and minutes from the Baltimore Ravens at M&T Bank Stadium and Oriole Park at Camden Yards. Please present your confirmation receipt to the Front desk. They will indicate where you can park. Shuttle runs 24 hours on top of every hour. Please wait at the Baggage Claim area on the lower level Door #1 or Door #15. The pickup shuttle is on demand; please call the hotel to be picked up. Driving distance from BWI : 3 mi. 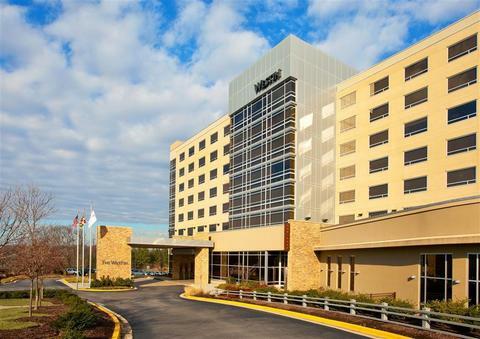 The Westin Baltimore Washington Airport - BWIis located just two miles from Baltimore Washington International Airport. Step into a serene setting in the Baltimore Gateway Community while enjoying the convenience of an airport hotel. Take advantage of our BWI parking facilities and enjoy complimentary use of our airport shuttle. Our ideal location places us in the heart of the Baltimore Washington Corridor, which is minutes from all of the things to do in Baltimore and a just quick drive from local attractions in Washington, D.C. and Annapolis. 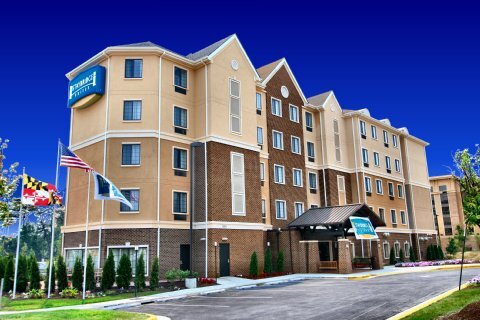 Surrounded by picture perfect harbors, charming historic neighborhoods and a distinct East Coast attitude, the Wingate by Wyndham Linthicum / BWI Airport hotel is a top destination for business and leisure travelers. 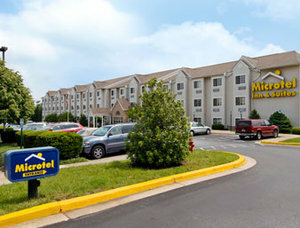 Hotel near BWI Airport.Our Linthicum hotel is situated in the heart of the Baltimore, Maryland area. We are only two miles from the BWI Airport in the heart of the BWI Business District and are conveniently surrounded by big name corporations, businesses, government agencies and contractors. The Baltimore, Maryland city center is only five miles away. Please plan on arriving 15 mins. prior to the 30 mins. mark in order to avoid missing the shuttle departure time at the 30 mins of the hour. When arriving to the hotel : present your confirmation receipt at the front desk and then you will be directed on where to park. Upon your return:please contact the hotel in order to get picked up from the airport. 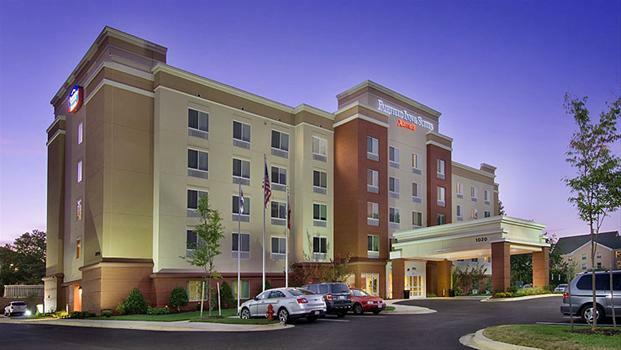 Our Hotel is located minutes away from Baltimore Washington International Airport. Complimentary shuttle service is included with online purchase. No extra charges for full-size vans, pick-up trucks and large SUV's. NO ROOM RESERVATIONS REQUIRED! Parking Instructions: Upon your arrival go to the front desk first, further instructions will be provided after parking check-in. The art of convenience and comfort is carried out exquisitely at the Staybridge Suites Baltimore BWI Airport. The Staybridge is less than 2 miles from BWI airport and provides its own hotel owned Staybridge Shuttle van directly to airport for both drop off and pick-up. The hotel is located close to many major corporations such as Northrop Grumman, Verizon, BAE, Lockheed Martin, AeroTek, and Westinghouse. IMPORTANT NOTICE: Our Shuttle is available 24/7 for both pick up and Drop-off 7 days a week. Shuttle Hours: 4:00AM - 1:00AM every 30min. Pick up on demand. Parking Instructions: At the back of main building, any parking space available. We are located 3.1 miles from the terminal and we offer complimentary shuttle service to and from BWI terminal 24 hours a day. When you arrive to Econopark Express you will be greeted by our friendly cashier and directed where to park. Our shuttle will pick you up at your vehicle and our driver will assist with luggage. We offer complimentary bottled water for the 5 â€“ 6 minute shuttle ride to the terminal. When you return to BWI please go to the designated pick up zone and get on one of our our bright yellow shuttles and you will be dropped off at your vehicle. Please be sure to have a printed copy of your prepaid voucher to present to the cashier when EXITING.Prepaid Parking reservations can be printed in the facility.